VAT has been introduced with effect from 1 January 2018 in the UAE. As a general consumption tax on the supply of goods and services, it applies to those supplies which take place within the territorial area of the UAE. Historically, Free Zones have been excluded from the territorial scope of the UAE. For VAT purposes, this is not automatically the case. Only those Free Zones listed in a Cabinet Decision qualify for special VAT treatment and that special VAT treatment has certain limitations. These nominated Free Zones are known as Designated Zones for VAT purposes. Designated Zones are:  subject to strict control criteria;  required to have security procedures in place to control the movement of goods and people to and from the Designated Zone;  required to have Customs procedures to control the movement of goods into and out of the Designated Zone; and  treated as being outside the territory of the UAE for VAT purposes for certain supplies of goods. The effect for businesses operating in Designated Zones will be that many supplies of goods will be outside the scope of UAE VAT, subject to strict criteria and detailed record keeping. However, supplies of services are subject to the normal UAE VAT rules. Strict qualifying criteria are applied to limit the use of the Designated Zones measure to those businesses for which it is designed, i.e. it is a measure to facilitate international trade on a VAT neutral basis and is not one designed to enable tax avoidance at any level. VAT is a general consumption tax imposed on most supplies of goods and services in the UAE. By default, it is chargeable on supplies of goods and services throughout the territorial area of the UAE. This territorial area will also include those areas currently defined as both fenced and non-fenced Free Zones. For VAT purposes, both fenced and unfenced Free Zones are considered to be within the territorial scope of the UAE – and therefore subject to the normal UAE VAT rules – unless they fulfil the criteria to be treated as a Designated Zone as defined by the Federal Decree-Law on VAT1 and Executive Regulations2. Those Free Zones which are Designated Zones are treated as being outside of the territory of the UAE for VAT purposes for specific supplies of goods. In addition, there are special VAT rules in respect of VAT treatment of certain supplies made within Designated Zones. The effect of these rules is that certain supplies of goods made within Designated Zones are not be subject to UAE VAT. In contrast, supplies of services made within Designated Zones are treated in the same way as supplies of services in the rest of the UAE. Important: Free Zones meeting the criteria have been specifically identified by way of a Cabinet Decision as Designated Zones. Where a Free Zone is not a Designated Zone, it is treated like any other part of the UAE. A Designated Zone is an area specified by a Cabinet Decision as being a “Designated Zone”3. Free Zones listed by the Cabinet Decision as being a Designated Zone can be found under the Legislation tab on the FTA website (www.tax.gov.ae). The Designated Zone must be a specific fenced geographic area. The Designated Zone must have security measures and Customs controls in place to monitor the entry and exit of individuals and movement of goods to and from the Designated Zone. The Designated Zone must have internal procedures regarding the method of keeping, storing and processing of goods within the Designated Zone. The operator of the Designated Zone must comply with the procedures set out by the FTA. This means that where a Designated Zone has areas that meet the above requirements, and areas that do not meet the requirements, it will be treated as being outside the UAE only to the extent that the requirements are met. The effect of this is that where a business is operating in a Designated Zone, it itself will be onshore for VAT purposes, even though some of its supplies of goods may be outside the scope of UAE VAT. Any person carrying on a business activity in the UAE and making taxable supplies in excess of the mandatory VAT registration threshold (i.e. a taxable person) must apply to be registered for VAT purposes. Any other person that is making taxable supplies or incurring expenses (which are subject to VAT), in excess of the voluntary VAT registration threshold may apply to register for VAT purposes. As outlined above, in certain instances, an area of a Designated Zone will be effectively treated as ‘offshore’ for VAT purposes, i.e. as if it is outside of the territory of the UAE for the purposes of the tax. Since UAE VAT only applies on supplies made in the UAE, such special treatment of Designated Zones will affect the VAT treatment of supplies made within Designated Zones. This section of the Guide discusses the consequences of treating Designated Zones as being outside the UAE for various types of transactions. This override to the normal place of supply of services rules means that, in all circumstances, the place of supply of services supplied in Designated Zones reverts to being in the UAE. Such supplies are then taxed in accordance with the general VAT rules for supplies of such services. This means that most services will be liable to VAT at the standard rate, as would be the case were they performed within the UAE. Equally, where services are exported (i.e. made to a person who is resident and located outside the GCC Implementing States), then the services may be zero-rated. As outlined above, Designated Zones will be treated as being ‘offshore’ if the necessary conditions are met. Since the place of supply for goods generally follows the location of the goods, a supply of goods within a Designated Zone is treated as made outside the UAE. This means that the default position is that such supplies are not subject to UAE VAT. This default position is overridden where a supply of goods is made within a Designated Zone to a person to be consumed by him or another person – in these situations, the place of supply will be treated in the UAE and VAT will be applicable under the normal rules. In the above context, the term “consumed” should be interpreted broadly as including any utilisation, application, employment, deployment or exploitation of the goods. For the purpose of the provision, the resale of purchased goods is not treated as consumption of the goods. Therefore, a supply of goods in such circumstances would still be outside the scope of VAT if the purchaser intends to sell them.  incorporated into, attached to or otherwise form part of another good located in the same Designated Zone and that other good is not consumed; or  used in the production of another good located in the same Designated Zone and that other good is not consumed. For the purposes of the second exception to the override, there must be a direct connection between the purchased goods and the production of another good. For example, the exception will generally apply to tools and equipment used to manufacture other goods; in contrast, a computer used by the business to create designs for goods which are later manufactured will not have sufficient connection with the goods to be treated as “used in the production” of the goods. The following are some of the examples of the application of Article 51(5) of the Executive Regulations to supplies taking place in Designated Zones. The flowchart below provides an indication of the decision-making process for determining the ‘actual’ place of supply for goods and services in a Designated Zone. The onus is on the supplier to ensure that it treats a supply correctly for VAT purposes. Therefore, as a general rule, suppliers should not treat supplies of goods as being outside the scope of UAE VAT unless they are satisfied that there is no risk that the goods may be used by the purchaser for non-qualifying purposes. The Authority expects that in most arm-length situations, a written statement from the recipient that the goods will not be consumed should be sufficient for these purposes. It should be noted that in many situations, the reasons behind the purchase should be clear from the context. For example, food sold by a grocery store within a Designated Zone are unlikely to be used for anything other than consumption by the purchaser or a third party. Since Designated Zones are treated as outside the UAE for VAT purposes, a movement or supply of goods into a Designated Zone from outside the UAE would be treated as taking place outside the UAE. Therefore, no UAE VAT would be charged on such movement or supply. A movement of own goods, or a supply, from mainland UAE to a Designated Zone is not considered to be an export of goods from the UAE.8 Therefore, such movements and supplies are treated as local movements / supplies. Important: Where goods are moved between Designated Zones, the FTA may require the owner of the goods to provide a financial guarantee for the payment of VAT, which that person may become liable for should the conditions for movement of the goods not be met. A movement of goods from a Designated Zone into the mainland UAE is treated as an import of goods into the UAE. Therefore, import VAT is payable by the importer of the goods. It should be noted, however, that there may be situations when goods were subject to VAT when purchased within the Designated Zone, and then subject to VAT again when imported by the same person into the mainland UAE. Where a VAT registered person has incurred VAT on purchase of goods within a Designated Zone and then again on import of the same goods from the Designated Zone into the mainland, the VAT registered person will be able to recover VAT incurred on the importation of the goods into the mainland in full (irrespective of the person’s normal input tax recovery percentage) on its tax return. It should be noted that import VAT can only be recovered in respect of the goods under this special rule if the same goods were subject to VAT when purchased by the importer in the Designated Zone, and that there were no intervening transactions in respect of the goods between the purchase by the importer and the actual import. The importer is required to retain evidence (and provide it to the Authority, if requested) of the VAT incurred in respect of the purchase and import. It is important to remember that even if VAT is charged on the import of goods into the UAE mainland from the Designated Zone, VAT may also be charged again on the subsequent sale of the goods within the mainland on the date of supply of that sale (i.e. if it is a taxable supply made by a taxable person). Whether or not VAT is charged on such a sale will depend on whether or not the date of supply is triggered in respect of the sale when the goods are in the Designated Zone or following their importation into the mainland. The date of supply has to be determined on a case-by-case basis. Supplies of water or any form of energy are supplies of goods. Therefore, similar to supplies of other goods within Designated Zones, such supplies may be treated as being outside the scope of the UAE if they meet conditions discussed in part 3.3 of this Guide. However, where water or energy is supplied for consumption (e.g. water and electricity provided by a water and electricity authority), then the place of supply of such water and energy reverts to being treated as being within the UAE14 and the supply is subject to the normal VAT treatment. This override applies even if the water or energy is used in the process of production of other goods in the Designated Zone. This means that suppliers of water and energy shall charge VAT without the need to distinguish between the potential uses for water and energy. For the purpose of the rule, the term “energy” includes electricity and gas, including biogas, coal gas, liquefied petroleum gas, natural gas, oil gas, producer gas, refinery gas, reformed natural gas, and tempered liquefied petroleum gas, and any mixture of gases, whether used for lighting, or heating, or cooling, or air conditioning or any other purpose. It should be noted that the rule only applies to water and energy sold for the purpose of consumption. Supplies of oil, gas, and other similar goods traded by businesses within Designated Zones may still be outside the scope of UAE VAT if the necessary conditions are met. Supplies of real estate, which include the sale and lease of real estate, are treated as supplies of goods. The place of supply of such supplies is where the real estate is located. It should be noted that real estate is not treated as consumed when sold or leased within a Designated Zone and therefore such supplies of real estate are not brought into the scope of UAE VAT by Article 51(5) of the Executive Regulations. As such, supplies of real estate made within Designated Zones are outside the scope of VAT. In light of the above, raw materials purchased within a Designated Zone for the purpose of constructing real estate in the Designated Zone are also outside the scope of VAT. This is because the raw materials will be used in the production of another good (the real estate) located in the same Designated Zone which itself is not consumed. As mentioned earlier in this Guide, the place of supply of all services is considered to be within the UAE if, under the normal rules, the place of supply would be within a Designated Zone.17 As a result, supplies of services related to real estate will be taxable even if supplied within a Designated Zone. For tax grouping purposes, a business established within a Designated Zone (which is still treated as a UAE business) is able to form a tax group with an onshore company (or companies) or another Designated Zone company (or companies), subject to meeting the normal control criteria. The usual consequences of tax grouping follow, such as supplies between members being disregarded for VAT purposes, and there being joint and several liability of the members of the tax group. 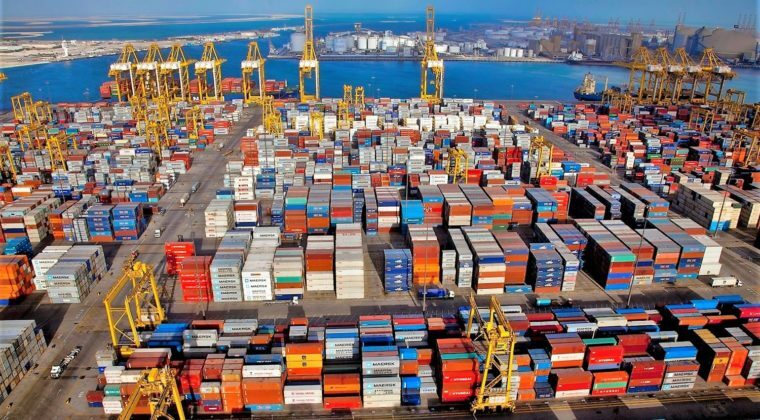 It should be noted, however, that where a supply of goods between the tax group members results in the goods being moved from a Designated Zone into the UAE mainland, this importation of the goods would trigger the obligation to pay import VAT. The payment of import VAT will be done using the normal process for such payments – that is, a VAT registered tax group will be able to defer accounting for the VAT to its VAT return. A single entity may have a branch or head office located in a Designated Zone and a branch or head office located in the UAE mainland. Supplies between different parts of the same legal entity, for example, between the head office and the branch, are treated as intra-entity supplies for VAT purposes and therefore disregarded. Similar to the tax groups, it should be noted that a movement of goods from a Designated Zone into the mainland UAE may trigger the obligation to pay import VAT (e.g. when transferring goods from the branch in the Designated Zone to the head office in the mainland). A VAT registered entity will be able to defer accounting for import VAT to its VAT return; in contrast, an unregistered entity would be required to make a payment of import VAT before the goods are released from the Designated Zone.